Learn how to write sentences in Spanish, complete lesson. Includes overview of Spanish direct objects, Spanish indirect objects and Spanish prepositions. Understanding grammar will help you on your way to foreign language fluency. When learning the Spanish language, it’s important to understand Spanish sentence structure. 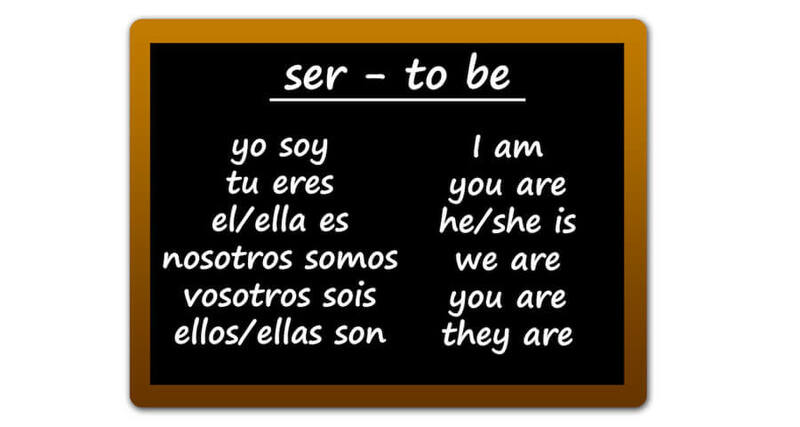 Though English and Spanish share some grammatical structure, they are not identical. After all, they have different roots. To help you mentally prepare for the differences between languages and the structures you will need to learn Spanish, here are five tips about sentence structure. This tip is covered in more detail in the Adjective section, but this segment will help you begin to understand the examples and to start reworking the way you think when you are studying Spanish. One of the most difficult things to keep in mind is that the adjectives come after the noun they describe. In Spanish, you don’t talk about the red apple, but the apple red. It will feel a bit like an older version of English so it won’t be entirely foreign; it’s just a matter of getting used to thinking of the noun first and then its descriptor. You will need to know the gender of the noun to use the correct version of the adjective; this will become easier as you begin to study and think in Spanish. This is another tip we will spend time on later, but it is best to start thinking of it now so that you can retool the way you think when processing information in Spanish. Direct objects tend to be difficult to learn in English, but once you know them they are simple in Spanish. The direct object is the object that the subject is acting upon. For example, in the sentence, “I would like a clean bathroom,” the direct object is “a clean bathroom”. In the example sentence from earlier (Limpia el baño, por favor), el baño is the direct object. You can see that it follows the same structure as English – it follows the verb (when there is one). You can also replace it with one of the direct object pronouns – lo and la – if the bathroom is already the topic of conversation and it is understood that it is the direct object. This suggestion is probably the easiest tip, but it’s still important because you are going to be working with indirect objects too. It goes first. “Te” (you) is the indirect object. Prepositions are always tricky because they don’t mean the same thing in any two languages, yet they manage to convey the same function as their objects. Focus on prepositions in writing. That will give you several keys to figuring out how to use them in Spanish. There are little nuances that only native speakers know. For example, English speakers tend to say things like “on the road” and “glasses on my face.” The use of these prepositions only makes sense to someone who grew up hearing them. Listening to a Spanish-language channel on the radio and working through the propositions can help you get a better understanding of how prepositions work in Spanish and where they are placed in the different parts of the sentence they represent. No is far more functional in Spanish than in English. It is used to create negative sentences, in the same way that English uses “not.” If you end up telling someone that you do not clean bathrooms (when what you meant was there are no clean bathrooms), you just need to repeat the sentence with “no” in there.